Thank you for the grace and space to take a break from writing and sharing here on the blog. As many of you may know, my mom was diagnosed with stage IV pancreatic cancer last September. For months, she valiantly battled the cancer that waged war within her body. In early June, it became clear that God was going to heal my mom. Just not as we prayed He would. On June 21, 2017, my mom left our arms and danced into the arms of Jesus. I don’t say that to be cliche’ either. I truly believe my mom left her battered, broken earthly vessel and embraced Jesus as she entered heaven–completely pain free and perfectly healed. While those left behind are still trying to find a new normal on earth without her, we celebrate her healing and find comfort in God’s Truth that we will see her again. Part of our healing process has been finding ways to honor my mom’s memory and carry on her legacy of faith. I am so excited to announce the establishment of a fund in my mom’s name benefitting moms and daughters through Team Grace Ministries! Anyone who knew my mom knows how much she loved serving others and sharing about Jesus. 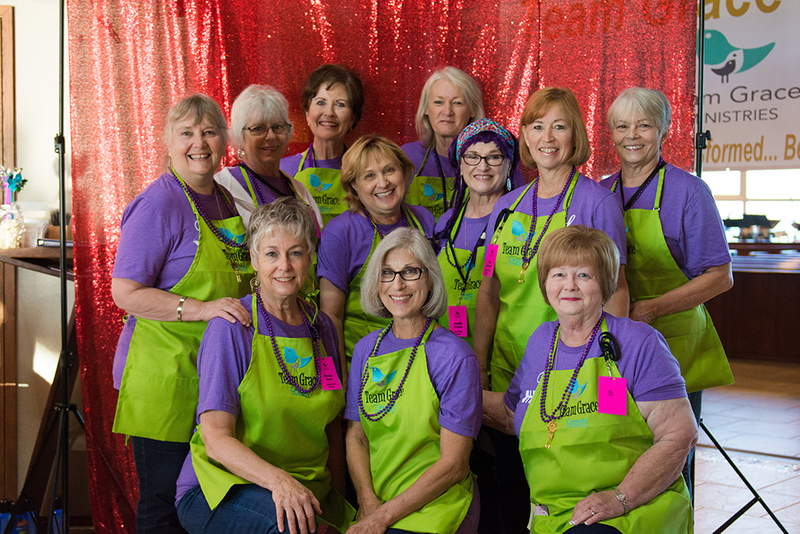 Mama LOVED being a Granny of Grace, our volunteer grandmothers whose mission is to love on and pray for the moms and daughters at our Team Grace retreats. These generous women impart no small amount of hugs, sweet treats and wisdom. We could think of no better way to honor my mom than to establish a fund that would financially help other moms and daughters attend retreats that focus on strengthening connections and deepening their relationship with Jesus. Thus, we have established the Sandy Ferguson Memorial Fund for this purpose. 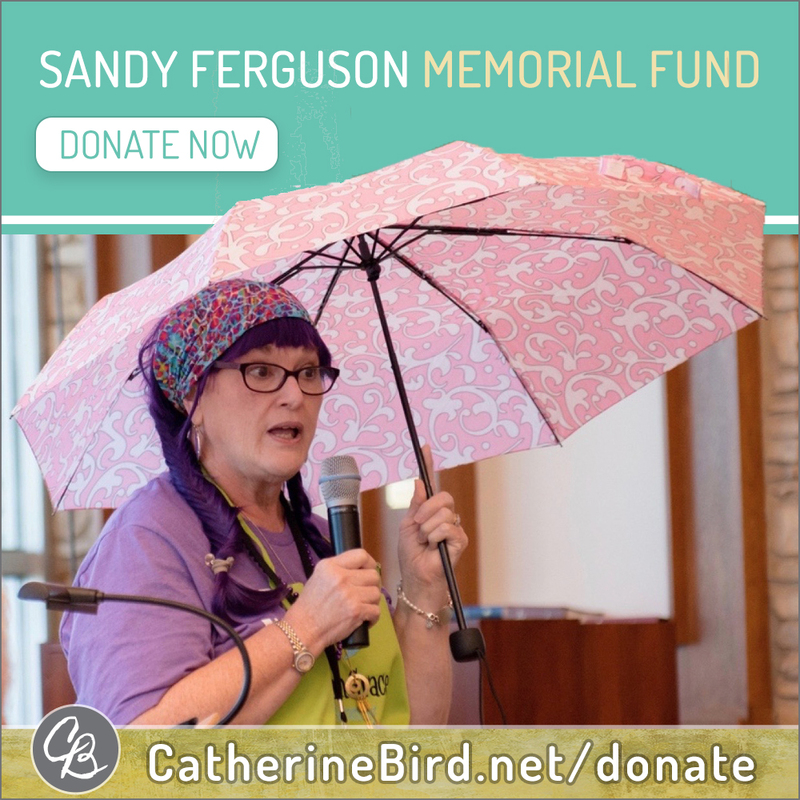 Also, funds donated to the Sandy Ferguson Memorial Fund will be used to ensure each mom and daughter who attend future Team Grace retreats will receive a copy of Jesus Calling, which was so important to my mom. She often bought these books by the case and gave them away as encouragement to anyone who looked like they needed it. Please help us spread the word about this new initiative, and we welcome you to join our online Team Grace community by checking out the #teamgrace group on Facebook! My prayer is that God will continue to nurture the grace and space of Team Grace and grow a community where moms and daughters everywhere can come to feel encouraged. The #teamgrace movement is all about joining the counterculture of moms and daughters who are empowering one another to embrace our authentic identities as God’s girls of grace and image bearers of Christ. If you haven’t found us online yet, please join the #teamgrace movement here!